Learn how to help others by cultivating the habit of using words that encourage, express love, and praise God. 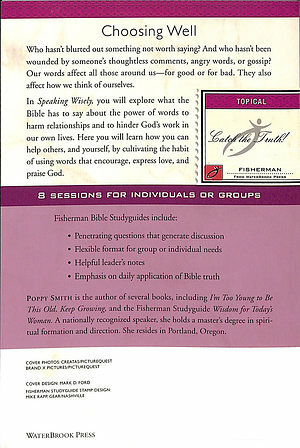 Speaking Wisely by Poppy Smith was published by Waterbrook Multnomah in June 2003 and is our 64695th best seller. 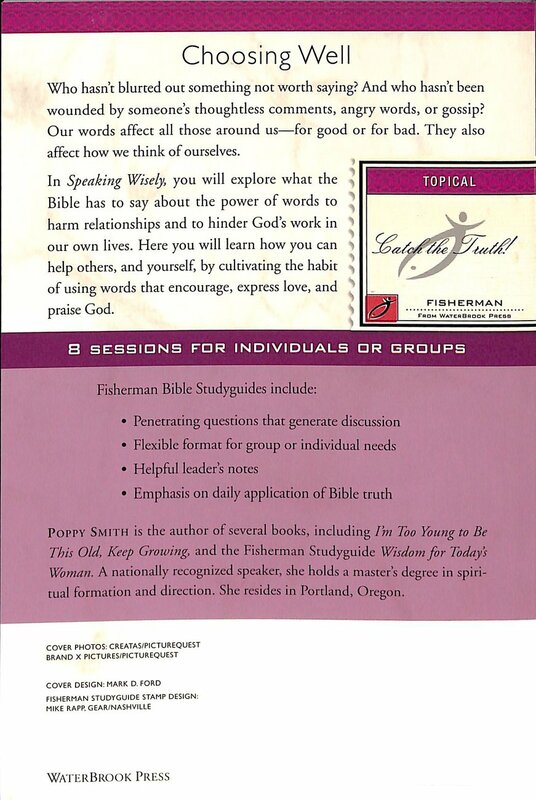 The ISBN for Speaking Wisely is 9780877889175. Be the first to review Speaking Wisely! Got a question? No problem! Just click here to ask us about Speaking Wisely.